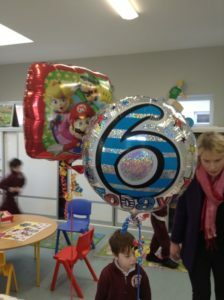 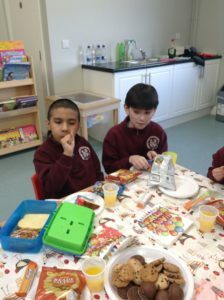 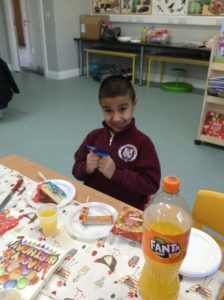 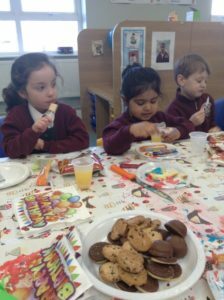 Today we celebrated Kaua’s 6th birthday in our Rainbow Class. 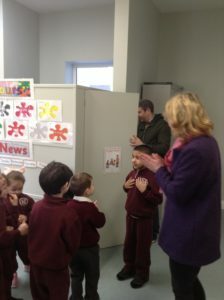 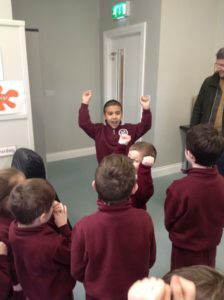 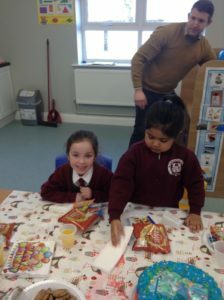 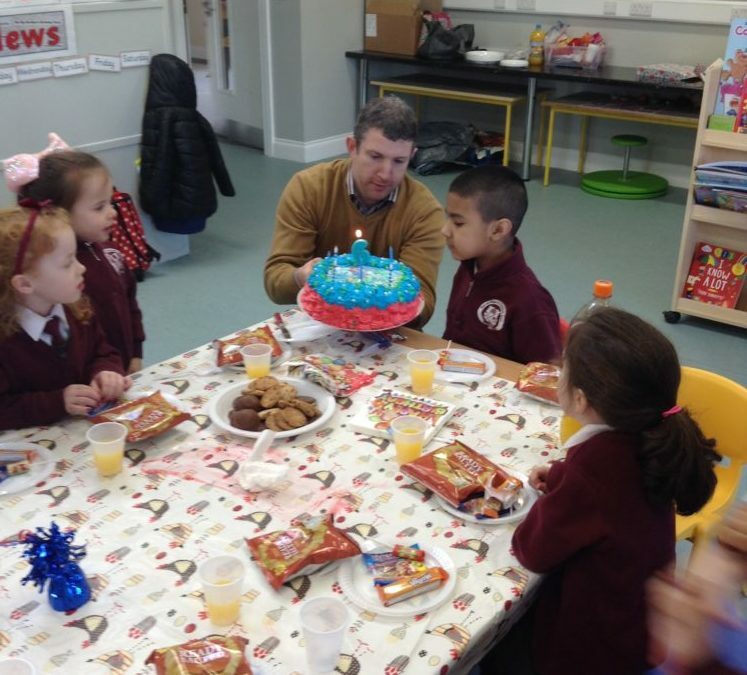 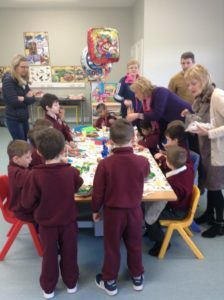 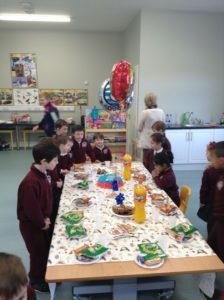 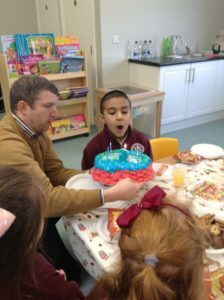 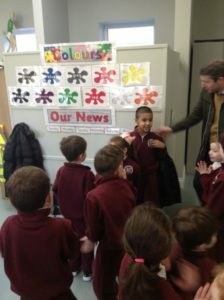 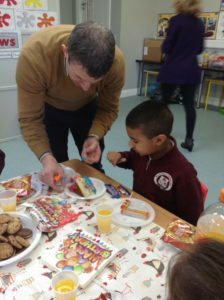 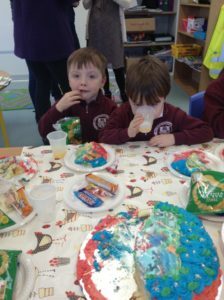 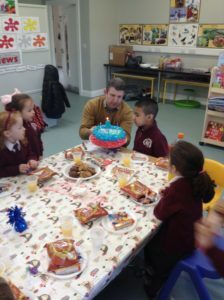 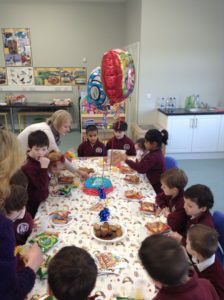 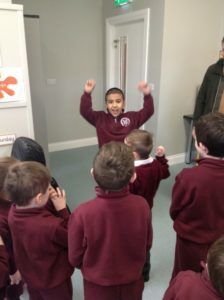 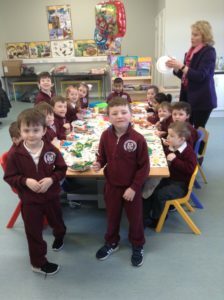 All Junior Infants came to celebrate with us, and some of the teachers. 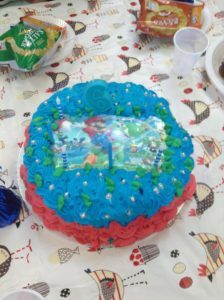 It was a really good surprise. 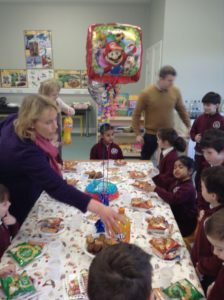 I went for a walk with my teacher and when I got back to my class there was a surprise party for me. 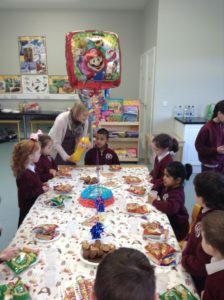 All my friends were there. 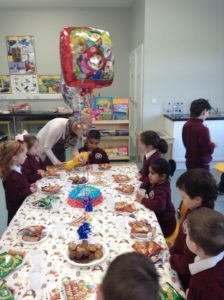 They sang happy birthday and we had loads of treats. 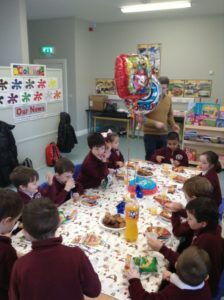 Lots of my friends gave me cards too. 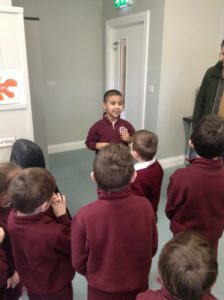 We listened to music and chatted. 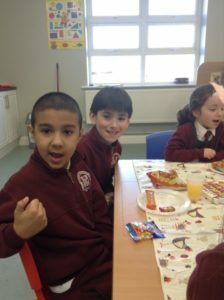 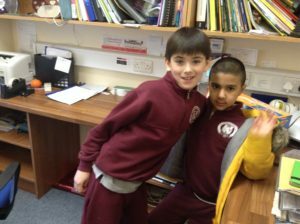 Please have a look at the pictures below!